I used Noble Entreprises to do a full finish on what was only a concrete and 1970s insulated basement. 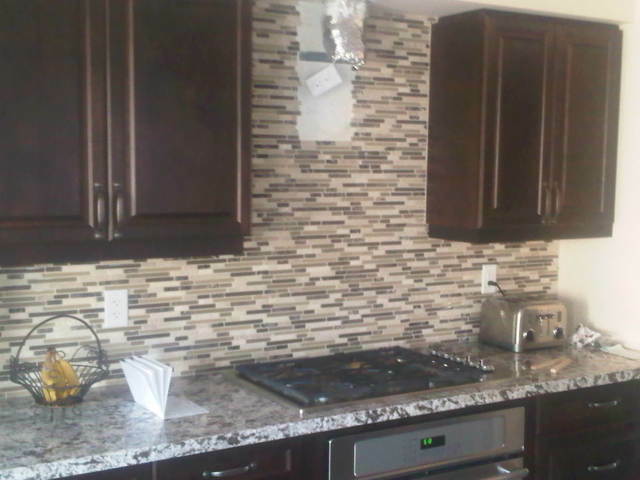 They did a fantastic job, at a reasonable price, so I decided to have them work on my new home as well. 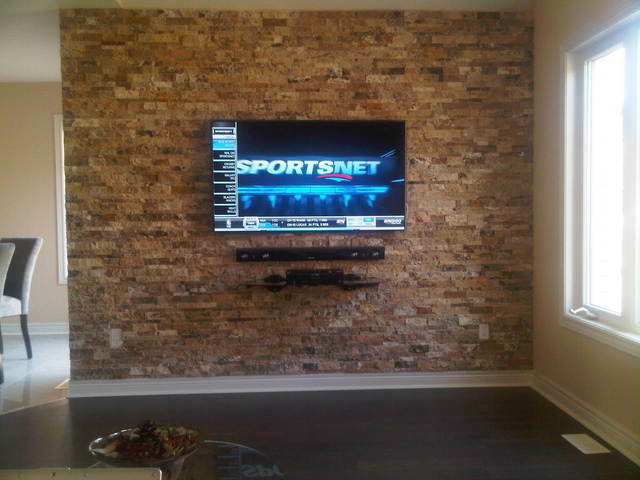 They put in a beautiful backsplash and covered the back of my TV wall (8x10) with a Travertine stone (this is now my favourite place in the house. All this was done in less than 6 hours on the same day too! This family run business is the best bang for your buck. All the owners are meticulous in the finishing touches and back their work. If you find cheaper, you're getting what you pay for...likely garbage. Give these guys a ring. I will definately use them for any further touches to my new place. Thanks Guys!